Where are we? Selling Maps! Like any business starting out one of the first brainstorming sessions we had at Scruffy Dug was about how we can build a customer base and finding ways to demonstrate what we can do. We didn’t have much evidence to actually show potential clients so we decided to start our portfolio by offering our services free of charge to local charities. However this process takes time so we also wanted to do something with a shorter turnaround. It had to have reasonable costs, affordable prices and help local businesses at the same time. After lots of discussion, reading, videos and soaking up top tips we were eventually inspired to create something that ticked all the boxes. We decided to create a visitor map. It can be produced in a relatively short time, it gives us the chance to get out and meet the people behind local businesses, and the opportunity to increase commerce in the area. With the summer holidays just around the corner it also seemed like a great opportunity to remind the local community as well as visitors of what our area has to offer. 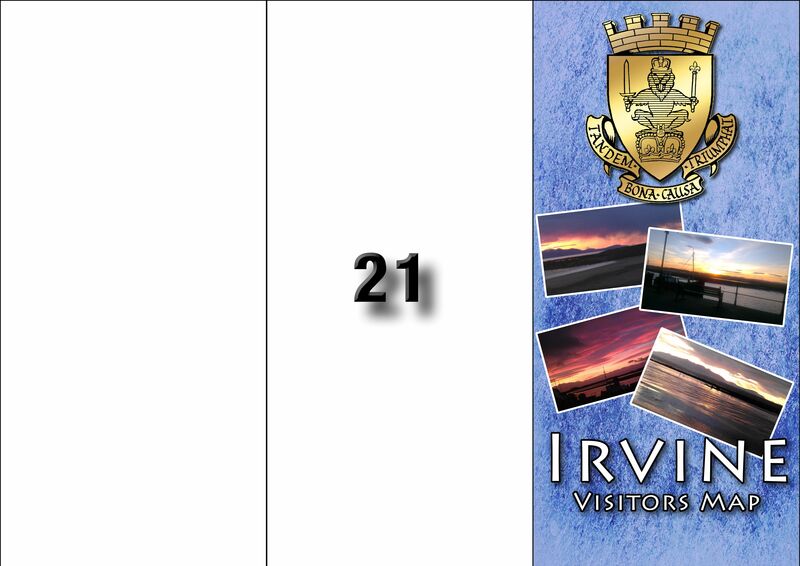 We are based in Irvine, a coastal town in the west coast of Scotland, so we decided to start there. 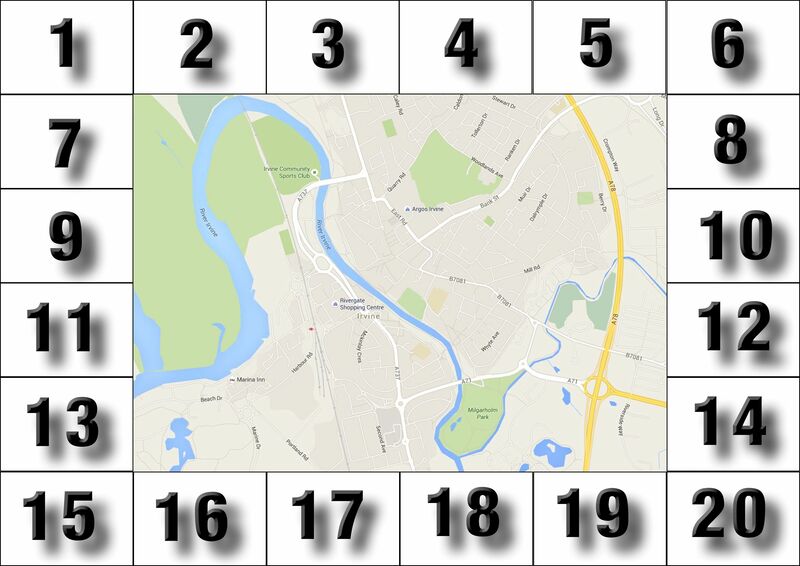 We opted for an A3 sized page, so that people could use it with ease, creating 20 spaces around the edge for adverts and a map on which the location of each of those businesses will be highlighted. On the reverse we earmarked space for a cover, introduction to the town and a large advert. We will be producing 5000 copies of the map to be dropped into information stands in local hotels and the train station, as well as being delivered to local residents by the end of the month. Businesses can simply use their business card or an existing advert to fill their slot but we are also happy to design an advert for them at no extra cost. We’ve been given the chance to show some of our work and it’s been lovely meeting so many local business owners and getting positive feedback. Hopefully the map will also encourage people to spend their hard earned cash in some of the fantastic bars, restaurants and wide variety of retailers Irvine has to offer. So if you’re a small business in Irvine, North Ayrshire and you’d like to get 5000 copies of your advert out to potential customers just get in touch. Email us at info@scruffydug.com to find out more.